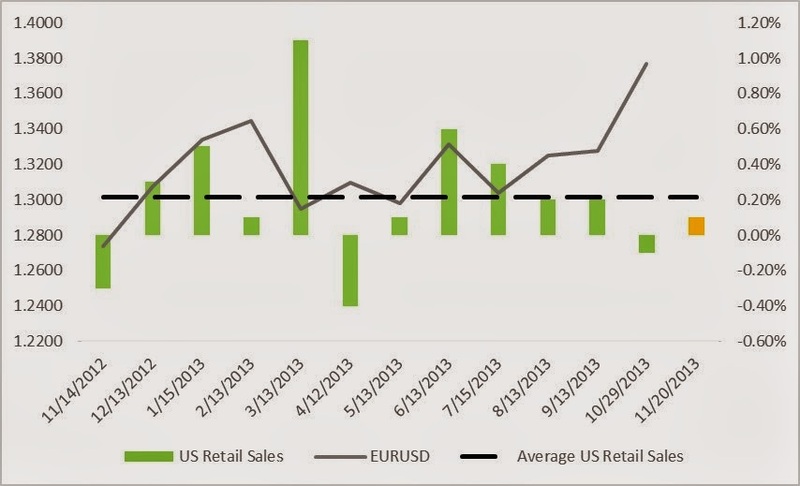 After USD Retail Sales dropped 0.1% in October, the USD looks poised to gain ground against the Euro as analysts expect month over month Retail Sales will improve 0.1%. 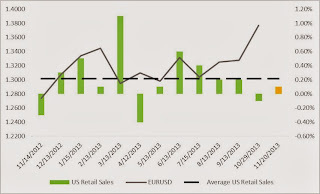 This assumption is supported by an observed short term negative correlation relationship between the EURUSD pair and Retail Sales. However, if the projection fails to meet at least expectations, the EURO is likely to find support to the upside, heading into the US holiday shopping season. Technical Outlook: EURO remains under pressure but DOLLAR faces renewed risk on weaker than expected economic calendar results.